The view from Boulder, Colorado, a couple of minutes before moonset. Chris Peterson wrote: Went out at 5:30am (ouch!) and drove a few miles north, to Eleven Mile Reservoir, on the east edge of South Park (yes, that South Park). I climbed a 30 meter rock formation above the lake (interesting in the dark), and fought to keep my camera batteries working at -18°C (fought to keep my fingers working, as well). But I managed a few nice shots. Hey, I was wondering if you'd get out - nice job mustering the effort. I was particularly curious about your location, what you could capture with the ensuing daylight and your limiting horizon. Thanks for posting. 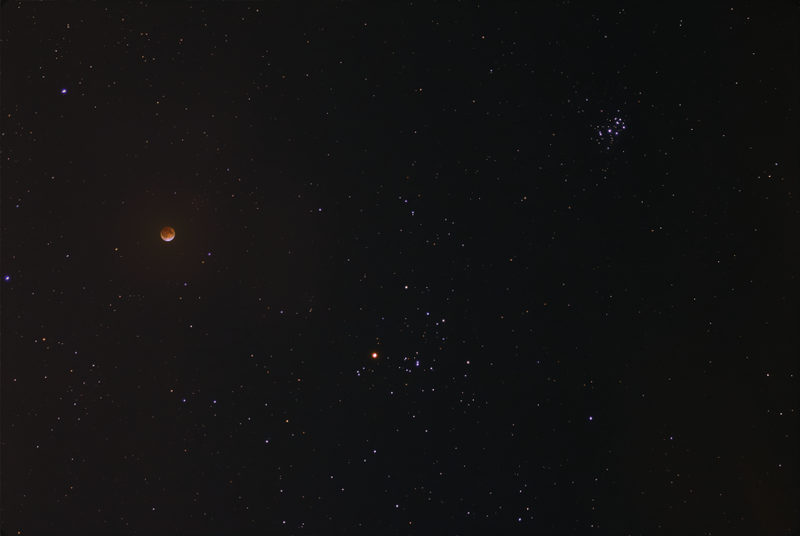 Processing: 12x6s RAWs (sky), 1s (eclipse), Camera: Canon 550D; lenses: Tamron 18-200 mm, Canon 70-300 mm. Observed on Koh Larn island (Pattaya, Thailand), where I travelled for this last total lunar eclipse for next two and half years. Despite light pollution from no far Pattaya beach we could have very spectacular view - the eclipsed Moon was in the center of Taurus constellation nearby Hyades and Pleiades. Right during totality occured very big outflow and the beach looked more empty than it really was. The sky wasn't fully clear - there were sometime cirrus clouds. 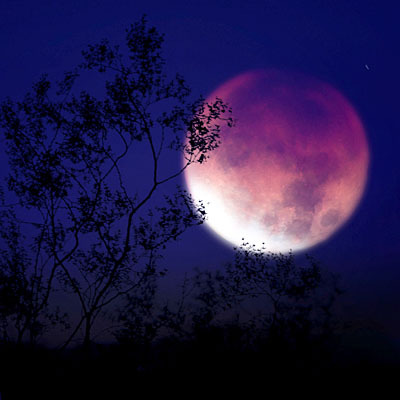 The image shows lunar eclipse right 10 minutes before mid-totality.